Industrial safety railing can make all the difference when a forklift operator makes a mistake. McCue is your trusted partner when it comes to safety assurance through quality, idea-driven solutions. Protect your employees, customers and equipment with our top-of-the-line products. Use the Pedestrian Barrier wherever you need to separate people from dangerous equipment. Clearly designate pedestrian walkways and areas. And rest easy knowing it will protect for years without costly maintenance. Protect your infrastructure from damage with our heavy-duty zinc plated steel BoxRail. Stocking, pallet movement and foot traffic can wear down your facility. With our BoxRail installed, you never have to worry about damage as a result of mishandled carts, forklifts or pallets. Our products protect for years. We strive to be your trusted partner and ensure the safety and total asset protection for your products, people and equipment. Let’s make a difference, together. 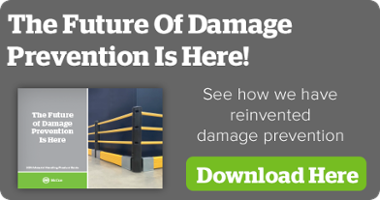 Get a quote today and start building a better, safer space for your employees and equipment.